The bomber is back! 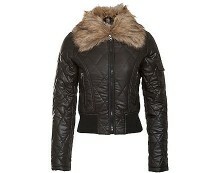 This bang on trend jacket has contrast black PU leather sleeves and blue acid wash denim body for a knock out look! Featuring a silver metallic zip through front, faux leather elasticated bottom trim, raglan style contrast sleeves and regular fit. 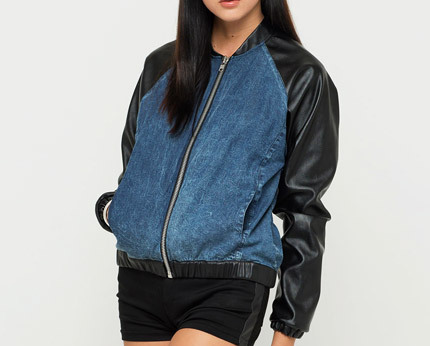 Team this edgy jacket with your favourite Motel bralette, high waisted shorts, over the knee socks and creepers for sport luxe appeal.